Why is being a commercial pilot stressful? Being a commercial airline pilot regularly appears around the top of "most stressful jobs" lists. I do not doubt that this is a stressful job, but as an outsider with no aviation experience whatsoever I do not understand why. I am curious to hear a first-hand explanation. I have always imagined flying long-haul to become very tedious and repetitive after a while. The only significant source of stress I can see is time away from family/relationships (which admittedly I couldn't cope with, but it doesn't seem sufficient a reason to propel this to the front of most stressful professions). The stress comes from everything about the job that isn't actually flying the plane. Dealing with crew scheduling is the #1 cause of stress. If your phone rings with that special ringtone you assigned to them, you know nothing good is going to come of it. These calls often end with reassignments, changed overnights, different crew members and sometimes extensions into days off. Dealing with a stubborn dispatcher who, despite the mess of storms on your route, refuses to give you an extra 500# contingency fuel. Dealing with pressure for on-time departures. This usually comes from a gate agent because they generally are the ones who get the short end of the stick if we push late. This can be exacerbated by agents who know about certain "tricks" to fool the system into thinking you pushed, which are often specifically disallowed by flight operations. Winter operations. Figuring out where de-ice happens, what special flow control might be in effect and managing holdover times can be a headache, particularly at unfamiliar fields. Spring and summertime. Never a moments rest during cruise but instead a constant look on the horizon and the radar and requesting deviations from every controller you talk to. These seasons often have days with widespread thunderstorm activity. These storms for the most part must be avoided and sometimes require constant coordination with controllers to deviate off-route to go around them. This creates fatigue more than stress, but the two have a way of feeding back on each other. Holding. Do we really have the gas to be doing this? Diverting. Coordinating with dispatch, maintenance (if needed), operations at the field, ATC and passengers. Timing out. Hey folks, sorry we diverted but now we timed out, we're staying the night here. Crew scheduling, again, to get hotel rooms and find out just how bad this day screwed our schedules for the next few days. That once yearly visit to the AME where you are reminded just how bad your airport junk food diet is and where exactly "hypertension" starts. Commuting. It is fairly common that pilots do not live in their base and live far enough away that the commuting means jumpseating or non-rev flying to get to work and back home. Depending on where you live you can often encounter oversold flights, competition for the jump seats and little backup options for same-day travel (e.g. not flying in the day before your trip). Not making it work can have consequences depending on how hard you tried to make it work and how good your union contract and chief pilots are. Of note, I never found actually flying the plane stressful including operations in low visibility and high winds. Those are the things that kept the job interesting and I quite enjoyed them. Having people in the back was also never stress inducing. As long as I flew safely and kept myself alive, the passengers would end up that way also. I was mindful of the passengers in selecting alternate cruise altitudes for ride conditions and requesting shortcuts from ATC to make up time but those are not stressful things to do. The amount, types, duration, and severity of pilot stressors vary widely. The individual airline, union involvement, scheduled versus non-scheduled, international or domestic, type of equipment, freight or passengers, everything has an effect. I look at pilot stress within the context of what I was doing the last 10 years of flying 747s on international routes for two carriers. For me, the stressors usually (but certainly not always) were of three types: physical abuse of the body, decision making in the face of incomplete information, and frustration over things I had little or no control of. The examples below are from the 1990s, but I'm reasonably certain like things and conditions still occur. There are still 747-200s flying, not many, but two of them are SAM 28000 and SAM 29000, the President's two 747s (heavily modified of course). For me the biggest stressor was the massive time zone changes. The last five years I was based out of JFK, but I lived in Oregon. After I collected a little seniority, I typically had 12 days off in a row each month, but a day of that on each end was given over to commuting. Thus a work period began with the hassle and uncertainty of jumpseating for a multiple leg, minimum 2500 mile journey and a 3-hour time zone change to JFK. The most typical next day was JFK to Tel Aviv, a 12 hour flight and another 7-hour time zone change. We left JFK in late evening, arrived at the hotel in Tel Aviv in early evening of the next day. I would wake up in Tel Aviv around 0200 local, and from that point on through the rest of the work period, my circadian rhythm was totally screwed up. We did a lot of charters, and that introduced a great deal of irregularity into our schedules. It was not uncommon to have a charter come up that would take us off the line that we bid for and was awarded, and from that point on we usually did not get back to the awarded line. Thus we often would not know what we would be doing after we completed the current flight until we got the call in the hotel after the flight. If you operate often into third word countries, you may occasionally get sick. It happened to me twice in 10 years, once in Jakarta at the Hilton, and once in the Ramada just off the airport in Delhi. The Jakarta Hilton had a 24/7 clinic in the basement, primarily for their employees but available to their guests, so it was no big deal to have a doctor come up to my room in the middle of the night and give me a shot to control the vomitting and diarrhea and stop the dehydration. The Ramada was a much smaller hotel, so they had to call out a doctor from home, again in the middle of the night. We had no reserve captains in Delhi. I operated a Hajj flight the next day with a hand towel arranged as a diaper. This happened all the time. It was part of the job, took many forms, and meeting the challenges was part of the fun, but it was stressful. For example, we picked up a planeload of U.S. Army troops at Stewart Air National Guard Base in New York to take to a recently constructed runway in the Balkans. We fuel-stopped in Paris because we had to have enough fuel to get out of where we were going. There was no fuel there. There turned out to be, in fact, nothing there but a very narrow, short (for a 747) runway surrounded by farmland, no buldings save for a couple of construction trailers. I wasn't given the information for the destination until just before departure in Paris. Enroute from Paris, looking at the approach plate and runway data, I saw two problems. The destination weather was forecast to be overcast, but with the ceiling high enough that we would be able to get in using the only approach aid available, an NDB. However, the airplane we had been dispatched with had an ADF that had only a pointer bug rather than a full needle. Our ops specs prohibited NDB approaches without a pointer needle with a tail. I ignored that problem. The second problem was that the taxi chart showed a runway too narrow to turn around on without getting a wing gear off the edge. There were no taxiways, no turnarounds, no ramps. This caused a series of contacts on HF via Stockholm Radio (no Satcom on this old airplane) between myself, dispatch, and our director of operations. The final call from the DO was to tell me he had talked to the military and that though the airport plate didn't show it, there was now a small ramp at each end of the runway. We landed, unloaded, and departed without incident. This category was large, most minor, some laughable even, some of more consequence, but all for me irritating. Things like being lied to by ground support people, crappy accommodations (I and a flight engineer got body lice from a stay at the Hotel Carrera in Santiago, Chile), having to pay bribes (especially in Indonesia and Egypt), having to sometimes wait hours for immigration clearance, often having to first say "salaam alaikum" on initial contact with Saudi Arabian controllers before they would answer , having to switch back and forth between saying Bombay or Mumbai during the name switch. Hindu nationalist controllers wouldn't answer unless you said Mumbai, others wouldn't answer unless you said Bombay. The incident I most remember in this category is when I, a first officer, a flight engineer, and 14 flight attendants commercialled to Medina, Saudi Arabia to pick up a flight. After we got there, we were told the airplane was going to be at least 12 hours late. No problem, hotel time, as the rule was we were entitled to a room if there was to be more than a five hour delay. However, problem, there were no available accommodations in the airport area. There were rooms available in the city but, like Mecca, non-muslims cannot enter Medina. We sat for 14 hours in a terminal with pathetic air conditioning in the middle of summer before the airplane arrived. One final small irritant. We kept having to give up our usual parking area at Tel Aviv to SAM 28000 and SAM 29000 during the latter months of Bill Clinton's time in office as he was making last ditch efforts to broker an Israeli-Palestinian peace. So, stressful, definitely, but it was the highlight of my life, and I'm glad I did it all, including all that wasn't so great at the time. Not many jobs where you can kill hundreds of people or lose your entire career by making a simple mistake. And your every move is being recorded. Add to it that you're doing nearly the same thing over and over, but can't miss any tiny detail. The flight duration doesn't matter, extreme situations can occur at all times. Why is being a commercial pilot stressful? On a normal flight, the pilots take off, communicate with ATC, change some parameters in the navigation computer from time to time, and land. While on the ground, the pilots have to visually inspect the aircraft and prepare the whole flight. This includes flight-planning, analysis of weather-forecasts, fuel calculations and many more things. Specially on short-haul-flights, every minute counts. If a plane arrives ten minutes to late, passengers could miss their next flight. Every following flight of this late airplane gets delayed too. This is a stress-factor for pilots. As you can see, the flying might not be the part which is most stressing for the pilots. What's stressing is the whole thing around. There are a lot of things that can make the job of a airline pilot stressful. The non flying duties of the job are the most stressful: Such as getting the airplane ready to push off the gate. Meaning all of the tests and checks and planning that must be done in possibly a 30 minute window. Scheduling: Every time they call you take a deep breath before answering the phone because you know that most likely, whatever they are planning to tell you, is going to screw up your plans for the day and possibly the week. Most pilots have a special ringtone set for their phone number to pre-warn them when its crew scheduling on the phone. Passengers: Its not that we don't like passengers we just get tired of them complaining about everything and slowing the embarkation and debarkation process. I fly regional jets and we always hear about how small the airplane is. Someone will inevitably argue with the flight attendant for five minutes that their bag, that is the size of a small child, will fit in our tiny overheads because it fit on their last flight. When asked about the aircraft they were on last we find out that it was a 787 on a international flight. I had a passenger 2 days ago ask me if I was a F18 pilot because he thought I braked to hard on the landing. Passengers will find whatever they can to complain about, its like a sick game for them. Now i'm not saying that all of them are bad, some passengers are very nice and grateful and will thank you for getting them there safely. Fuel: When we get our paperwork for a flight it tells us how much fuel is going to be put on the aircraft and how much we must have before we can take off. A lot of times this is just enough fuel to complete the flight with the FAA required reserve amounts. They do not like to give extra fuel because that means more money in fuel, the possibility of being weight restricted and having to leave passengers and bags behind, and its costs money to carry fuel because the heavier you are the more fuel you will use. Often times if we know we are going to be waiting for a while on the ground for takeoff or we decide that there is a possibility of us having to hold for a while in the air waiting to get cleared into a busy airport we have to call our dispatcher and ask for contingency fuel. This can be like pulling teeth sometimes. Its unbelievable that we have to argue with them to get more fuel on the aircraft because we think it will result in the safest outcome. Being on time: Part 121 air carriers are big about being on time especially when you work for a fee for departure airline (most regionals are). We have a OUT time where we should be off the gate and they expect us to be off the gate no more than ten minutes early but not a minute late. Then we have a time that we are expected to arrive. They would like us to arrive either at the listed time or within 14 minutes after but not before the listed time and not 15 minutes late if we can help it. Then we have a computer system that tells us how fast we should fly to save fuel and money and make this all happen, it often gets ignored. ATC Delays: ATC plays a large role in some of our stress. Things like ground stops and diversions make like fun. If a place like Newark NJ gets too busy they will ground stop meaning that anyone who is getting ready to go there who hasn't taken off yet is going to be sitting for a while until they clear up the traffic jam in the sky. We say for an hour and a half one night to takeoff to go there. This meant that the rest of our evening was delayed an hour and a half as well, evening getting to go to bed was delayed for us that night. Commuting: As much as the public must think its awesome that we get to travel all the time it gets old really fast. We are often not based close to our homes which means we have to commute to work. Sometimes it is easy to get a seat and we have no problem. Other times all the flights are full and we have to try to squeeze in somewhere or hope that we can get the cockpit jumpseat. We don't mind sitting next to passengers on flights. However, we do mind when you try to make us your private source on everything aviation related. We don't mind answering a question or two but I don't want to sit there and explain the mechanics of a jet engine to you and explain to you why it is so turbulent. Also just because we are a pilot does not mean we know everything about every aircraft. Just because we are flying to Houston TX on a 737 does not mean that I fly that aircraft and know anything about it. Medical Examiners: As airline pilots we are required to see a medical examiner once per year to ensure that we are fit to fly. We are always worried about our health and whether or not they are going to find something small that would prevent us from flying. They are constantly changing the rules on us and its hard to keep track of them all, all of the time. Next time you are on a commercial flight just remember that the crew is there to get you from point A to point B safely and efficiently. We all really do love what we do or we wouldn't be there because lets be honest...the pay isn't that great. Thank them for a nice ride and smile....they will appreciate it. Not the answer you're looking for? 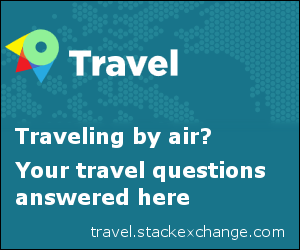 Browse other questions tagged pilots airline-pilot or ask your own question. Is it worth it? Spending loads of money and years? What button is this pilot pressing with his thumb? To what extent (if any) is it possible or desirable for the pilot of a large airliner to “fly by the seat of the pants”? What are the roles of the co-pilot in commercial aviation? Does having a halo effect after LASIK disqualify you from being a pilot for the Air Force or commercial pilot? Why the pilot in command sits on the left? Can a pilot choose his co-pilot? Are commercial pilots ranked or graded differently based on the size of the aircraft they fly? When cruising, is any moment that a pilot will reduce his/her airplane speed?